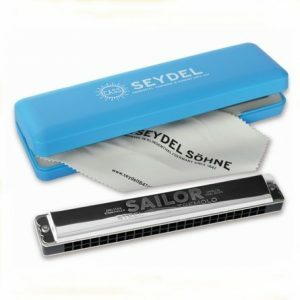 This chromatic belt bag by Seydel holds one chromatic harmonica. 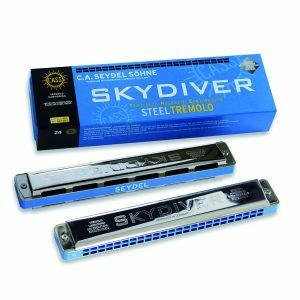 It has a double zip that allows the bag to open three quarters way round with wide elastic strap inside to hold the harmonica. 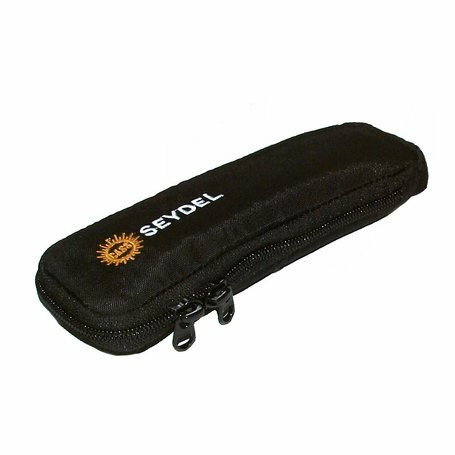 It is made of padded durable synthetic material with Seydel logo on the front and belt loop on the back. 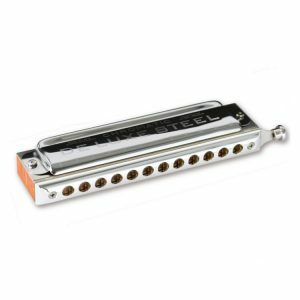 Suitable for most standard size 12 hole chromatic and tremolo harmonica, and other makes beside Seydel.